Valentine’s Day Cards, Crafts, Gifts & Homemade Treats For Kids! Valentine’s Day is just around the corner and love is in the air! Now’s the time parents and kids are scampering to make love notes for all of those sweet classmates. We rounded up 7 wow-worthy DIY Valentine’s Day cards you can craft with your little cupid — and they’re sure to knock a recipient’s socks off. If you’d like to make cards that are a little less of a challenge, these 6 adorable DIY Valentines are just as special, and less time consuming too! Feeling resourceful? Whip up these easy homemade Valentines with stuff you already have on hand around the house. Purchasing your cards this year? Opt for these eco-friendly plantable Valentines that blossom into wildflowers! If your child needs to make a little mailbox to house all of her Valentine’s Day cards in at school, set sail into this tutorial on how to make a love boat Valentine mailbox. On to lovely gifts! Artists will adore a set of these bright recycled conversation heart crayons. You’re sure to find a fabulous offering in our Valentine’s Day green gift guide for babies and kids. To celebrate the days leading up to the 14th, here are 6 eco Valentine’s Day inspired crafts for kids. 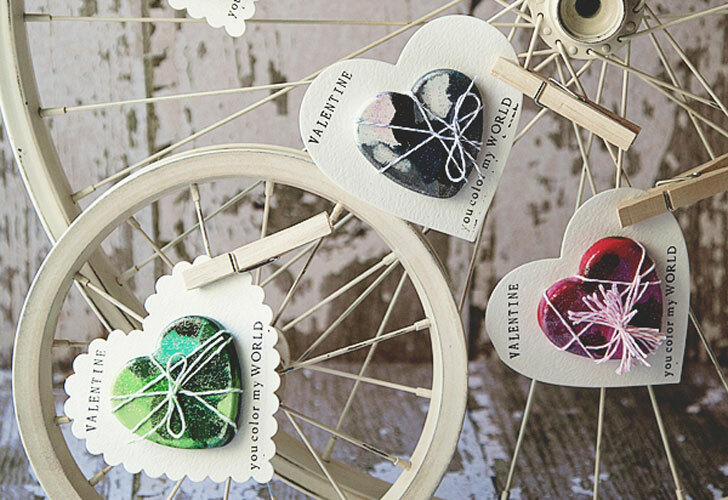 And these recycled bottle cap Valentine magnets would be a nice added touch tucked into a card. Throwing a Valentine’s Day party? Dress your dapper little dude in one of these handmade vintage bow ties and he’ll make everyone swoon. And take advantage of this fantastic printable party decor from Paper Cake to decorate in a flash. If the day of love puts you in the mood for baking sweet treats, check out how to make miniature organic conversation heart cakes, vegan tie-dye sugar cookies, and homemade vegan, heart-shaped marshmallows! And in honor of February also being National Heart Health Month, learn about 7 heart healthy foods and how to incorporate them into your family’s diet. And enjoy time together with your loved ones with these 6 ways to have an eco-friendly Valentine’s Day. Valentine's Day is just around the corner and love is in the air! Now's the time parents and kids are scampering to make love notes for all of those sweet classmates. We rounded up 7 wow-worthy DIY Valentine's Day cards you can craft with your little cupid -- and they're sure to knock a recipient's socks off. If you'd like to make cards that are a little less of a challenge, these 6 adorable DIY Valentines are just as special, and less time consuming too! Feeling resourceful? Whip up these easy homemade Valentines with stuff you already have on hand around the house. Purchasing your cards this year? Opt for these eco-friendly plantable Valentines that blossom into wildflowers! 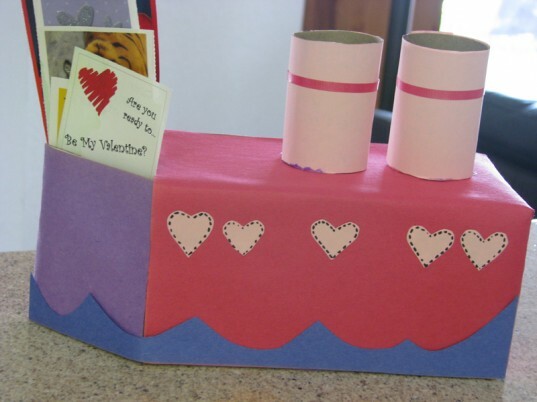 If your child needs to make a little mailbox to house all of her Valentine's Day cards in at school, set sail into this tutorial on how to make a love boat Valentine mailbox. On to lovely gifts! Artists will adore a set of these bright recycled conversation heart crayons. You're sure to find a fabulous offering in our Valentine's Day green gift guide for babies and kids.